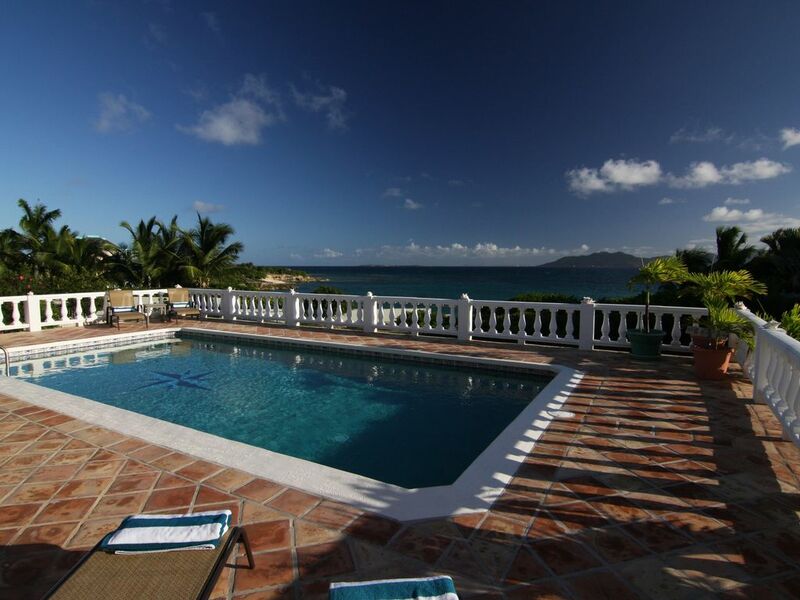 Mainstay Villa on Elsie Bay is a privately owned villa on the south central coast of Anguilla. It affords a large deck and private pool that boasts extraordinary views overlooking St. Martin & other neighboring islands. Amenities:: Mainstay is a very spacious villa that offers every comfort & convenience. The layout affords beautiful ocean views from every room in the house. Enjoy constant breezes and the ever changing view of the sea & sky. The sunsets are truly breathtaking. Our villa is ideal for either one, two or three couples. It's been a romantic hideaway to many honeymooners and can easily accommodate a family of four or six. Washer/dryer, Dishwasher, Iron, Microwave, Coffee Maker, Blender, Hairdryers (2), Cable TV, Wireless Internet access, Radio 300 CD Changer (lots of CD'S), DVD player, iPod docking station, Portable Beach Chairs & Umbrellas, Portable Cooler, Beach Towels, Books & Games.